District Court Judge Kim Christopher listens to concerns from St. Ignatius school officials, including high school and middle school principal Shawn Hendrickson, above, regarding a proposed plea agreement for a former school bus driver who had exposed children riding his bus to methamphetamine through his drug activity. St. Ignatius Schools Superintendent Jason Sargent was one of three school officials asked to speak on the record about their concerns regarding the plea agreement. 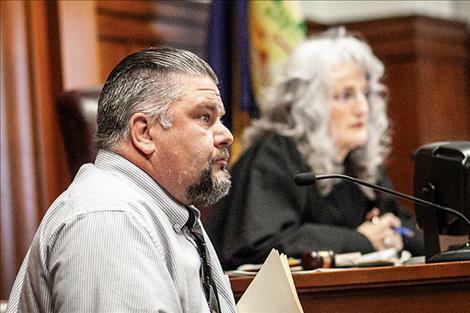 The sentencing hearing has been continued to Nov. 29 for the former St. Ignatius school bus driver and owner charged with dealing methamphetamine. 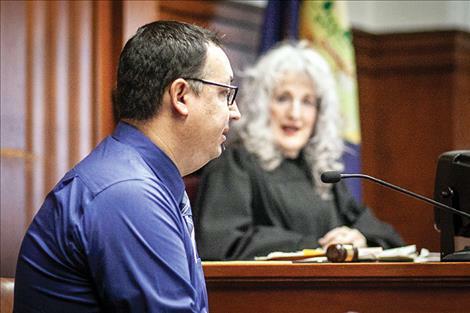 District Judge Kim Christopher continued the sentencing after a proposed plea agreement was criticized on social media by St. Ignatius High School and Middle School Principal Shawn Hendrickson. Scott William Johnson, 55, pled guilty to a single count of felony criminal possession of dangerous drugs on Sept. 27. 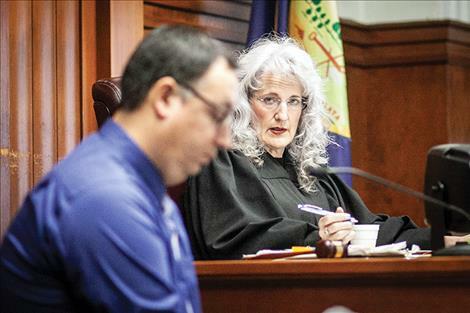 Additional felony counts of endangering the welfare of children and criminal distribution of dangerous drugs are to be dismissed as part of the plea agreement. According to charging documents, Johnson had exposed school bus passengers to methamphetamine through his involvement in drug activity. Christopher took an unusual action and invited officials from the St. Ignatius School District to attend the Nov. 8 sentencing hearing. The invitation was directed specifically to St. Ignatius School District Superintendent Jason Sargent; Peter Matt, school board chairman; and Hendrickson. Christopher stated in the invitation that it was “in the interest of transparency” after concerns over the plea agreement were made public via social media and asked the three school officials to explain any of their concerns on record. 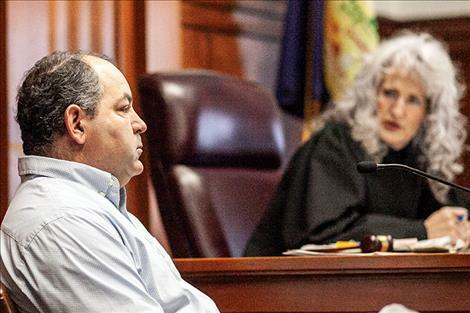 Lake County Chief Deputy Attorney James Lapotka explained to the court that the school district’s legal counsel, Elizabeth Kaleva, advised him that communications about the case should go through her. 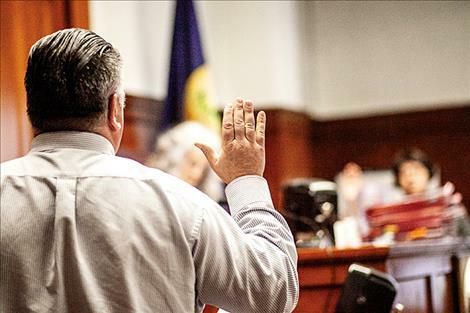 During Matt’s turn on the witness stand, both Matt and the judge acknowledged visiting about the case at a recent social engagement but only in terms of procedure. Johnson was the subject of a months-long investigation by the Lake County Sheriff’s Office. He was busted by law enforcement after leaving a drug purchase last May and found to be in possession of 3.5 grams of methamphetamine. Deputies involved in the investigation interviewed an unidentified “citizens informant” who indicated they had purchased methamphetamine from Johnson a week prior to his arrest in exchange for cash and sexual services. The informant also stated they had smoked meth in the bus barn and in the school’s blue and white “sports bus” and other buses. 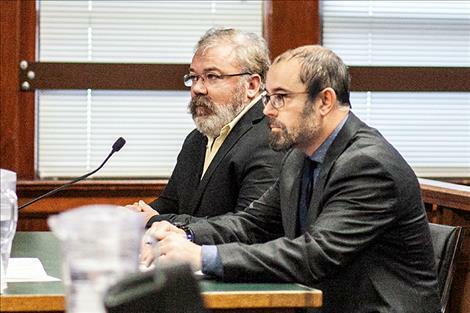 During a change of plea hearing in September, Lapotka explained to Christopher that the distribution charge was based on circumstantial evidence and could be difficult to prove at trial. 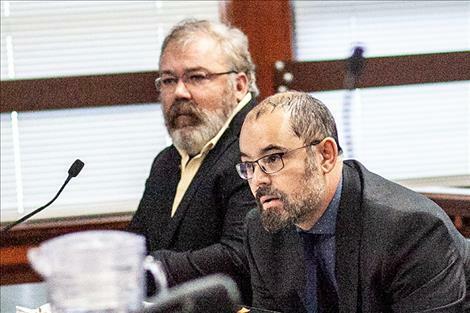 Cotter told the judge that there was no definitive proof that meth was ever used on the bus; although two buses and the bus barn initially tested positive for methamphetamine, Lapotka explained that more extensive testing showed the levels of meth did not pose a health risk. As for the alleged trading of sexual services for methamphetamine, Lapotka said there was no force involved and if that did occur it was between consenting adults. 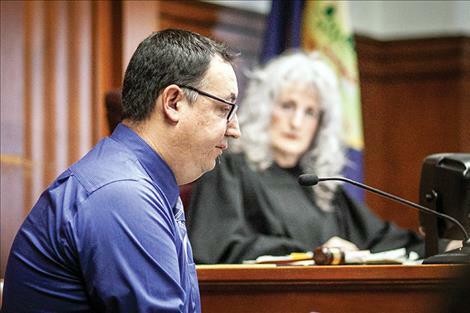 During the change of plea hearing, Johnson presented the court with a check in the amount of $11,765 to pay for any cleanup costs incurred by the St. Ignatius School District. Johnson also presented proof that he voluntarily and successfully completed a 28-day drug treatment program, satisfying a concern of the court. The plea agreement calls for a joint recommendation of sentencing being deferred for a period of three years. The judge is not bound by the agreement. 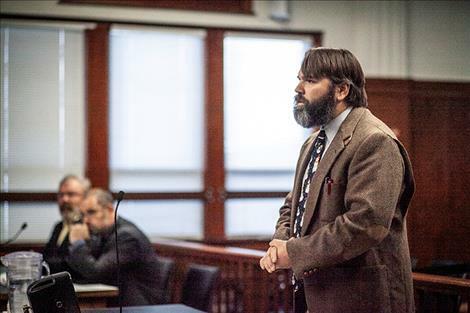 If rejected, Johnson would be afforded the opportunity to withdraw his guilty plea and take the case to trial.